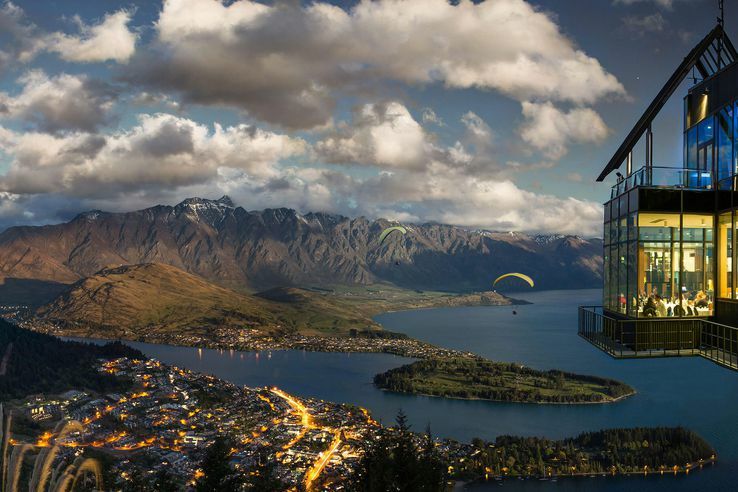 Take in New Zealand's largest city and then head to the thrill-seekers paradise of Queenstown . Limited time to spend in New Zealand? Take in some of the highlights of New Zealand in 9 days with visits to both Auckland and Queenstown, flying between the two cities to maximize your time in each. Auckland can’t be defined by a single experience because it has such astonishing variety on offer and it's all so accessible. Right in the CBD you can bungy jump off the Auckland Harbour Bridge or take a vertigo defying walk around the Sky Tower's top-most perimeter. Within half an hour of standing on a bustling city street you could be pulling into the wharf on Waiheke Island, watching orca chase stingrays in the Manukau Harbour, tramping through native forest or sipping wine at a vineyard in the countryside. It’s a place where you can make your own adventure and where only imagination sets the limits. Book flights from Auckland to Queenstown. Surrounded by majestic mountains and nestled on the shores of crystal clear Lake Wakatipu, Queenstown’s stunning scenery is inspiring and revitalizing. With such a huge range of activities in Queenstown and something on offer for everyone, no two days will ever be the same. Fly from Queenstown back to Auckland for your flight home. Book flights from Queenstown to Auckland.